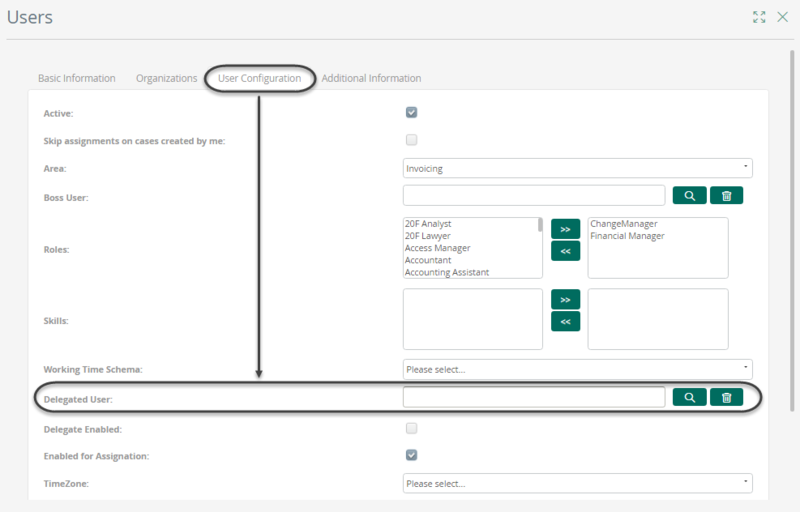 This option allows defining a person who will be in charge of executing the cases allocated to a specific user, when this user is not available. For example, if a user goes on vacation leave, the delegated user will be the person allocated to the new cases that should have been allocated to the absent user. •Both the absent/unavailable user and his/her delegated will be allocated to the new cases. 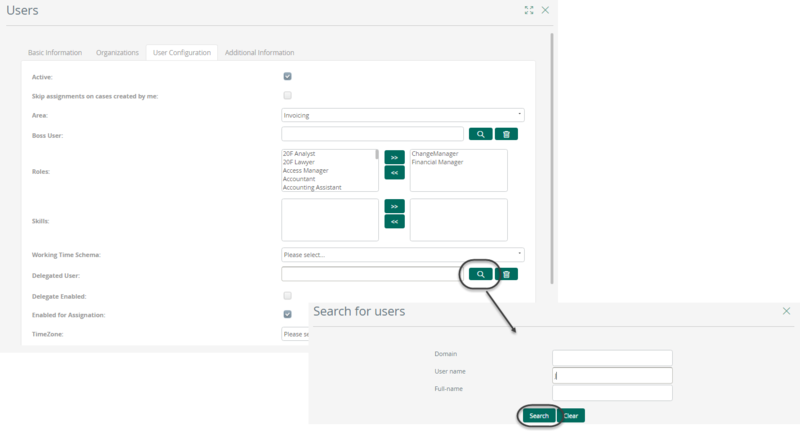 •The cases already assigned to the absent user will be visible to the delegated user to be able to execute them. •Both the absent and the delegate users are notified when an activity has been allocated, if these notifications are enabled for the activity. 1. 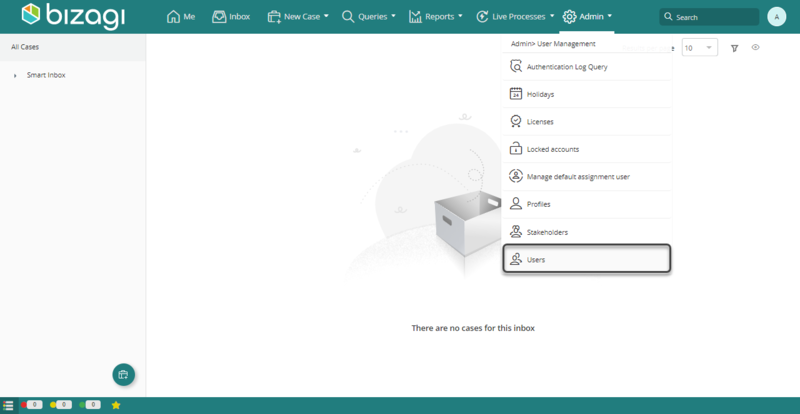 From the Work Portal go to the Users option found under the Admin menu. 2. Search for the user for which the delegated user will be defined. Enter the necessary criteria and click Search. 3. Click Edit option beside the specific user. 4. 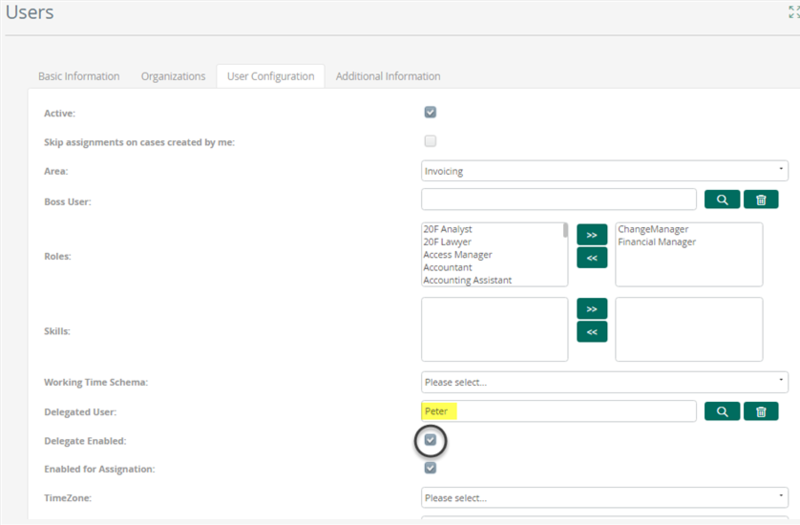 In the users administration window go to the Configuration User tab and locate the Delegated User option. 5. Click Get User to search for the delegated user. Enter the necessary criteria and click Search. 6. Select the delegated user. 7. Finally check the Delegated enabled option in order to activate the delegation.